Steam. Small and modular designs. Glowing keyboards. Did we say Steam? It's going to be a very good year for gaming hardware. 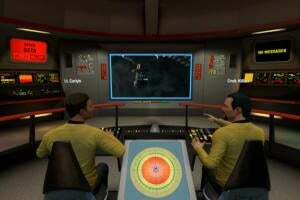 2014 could be a renaissance year for PC gaming. From pristine graphics to compact designs to immersive gameplay, there's never been a better time to ditch your console and boot up a PC. Check out some of the most exciting things due to arrive this year—some of them enticingly soon. 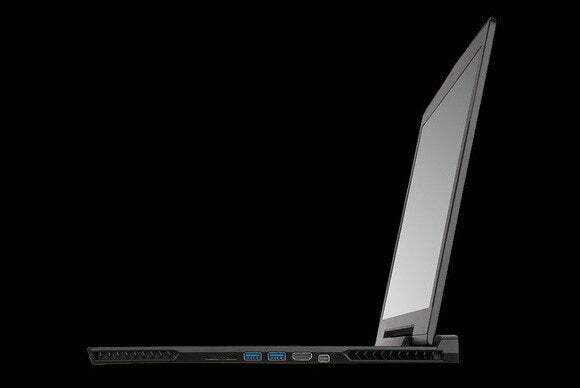 We start with a powerful gaming PC masquerading as a light, thin laptop. Serious gaming laptops are bulky and heavy enough to break your back, but Gigabyte is bucking the trend with the Aorus X7. 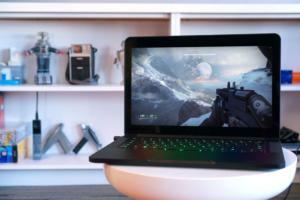 This laptop comes packed with an Intel Core i7-4700HQ processor and two Nvidia GeForce GTX 765M GPUs in SLI. Options range from copious amounts of memory to SSDs, and the Aorus X7 even has five programmable macro keys, a rarity for a gaming laptop. The Aorus X7 may be comparatively light for a gaming machine at 6.4 pounds, but it will be heavy in price, ranging from $2100 to $2800. Cramming all that power into a tiny package is expensive! AMD’s Nano PC is so small you could almost lose it between the sofa cushions. It’s designed to sit atop a TV as a home-theater PC, complete with an integrated camera, Bluetooth, Wi-Fi, and a 256GB SSD. A super-low-power Mullins APU runs the show and connects to a dock that provides power, USB, and display through a single cable. The setup can handle Windows 8.1 and play FIFA 14 at 1080p. You can daisy-chain the docks to provide more USB or video ports. 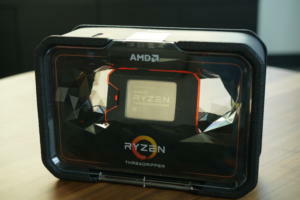 The technology is impressive, and we look forward to seeing what AMD will do with it in the near future. Widespread adoption of 4K may still be a few years away, but that didn’t stop Asus from showing off a 28-inch, 3840-by-2160-pixel display. The kicker: It will sell for an affordable $799. The PB287Q (a mouthful) will be outfitted with HDMI and DisplayPort connections and will offer tilt, swivel, height, and pivot adjustments. For the low, low price of a premium graphics card or CPU, you’ll be able to experience 4K gaming later this year. CyberPower’s Fang BattleBox can handle PC gaming on the go—literally. Gaming laptops be damned, this beast is ready to be your companion at the next LAN party. It looks like a cross between a suitcase and a toolbox—small enough to allow you to carry it around by its included handle, but large enough to let you pop the lid and tinker with its off-the-shelf desktop components. You can even install two graphics cards in it, though the fit may be a little snug. The prototype houses a GeForce GTX 780 Ti, a full-size power supply, a mini ITX motherboard, 16GB of RAM, an SSD, a traditional hard drive, an all-in-one water cooling loop, and an Intel Core i7 4770K processor. Those components makes this carry-on more powerful than most large systems out there. The Corsair Graphite 760T full-tower PC case was designed to showcase your pride and joy in all its glory. 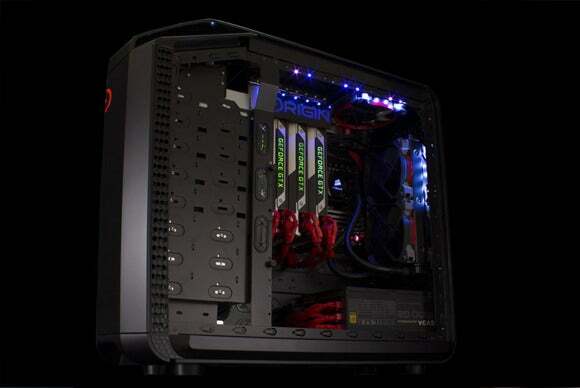 It has room for eight fans, multiple radiators, and even custom liquid-cooling. Need extra space for the beefiest graphics cards? Take out the modular drive cages or mount your SSDs laterally so they stay out of the way. The side panel is a hinged window that's easy to swing open—or you can remove it simply by lifting it off. Your PC will be the belle of the ball when dressed in this beauty. Don't adjust your screen or rub your eyes. 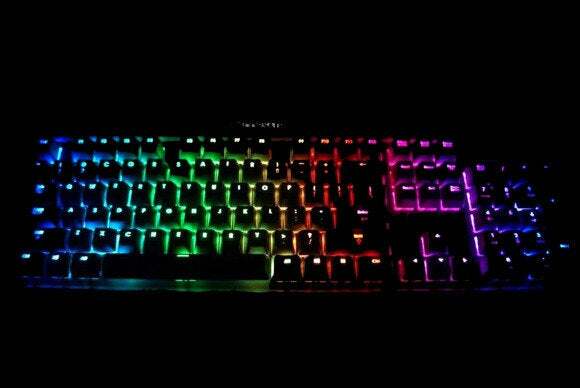 This all-mechanical keyboard has 16.8-million-color backlighting on each key. Light up like the Vegas strip with the Corsair Cherry MX RGB mechanical keyboard, coming in a variety of switches including Cherry MX Red, Brown, and Blue. It’s based on the Corsair Vengeance K70, which was the first mechanical keyboard to offer programmable per-key backlighting. The keyboard can be customized and programmed to amaze onlookers with its incredibly versatile lights. I can't wait to program my own Cylon-eye keyboard. We’ve seen some tiny Steam Machines, but Maingear's Spark crams premium hardware into one of the smallest form factors we’ve seen. 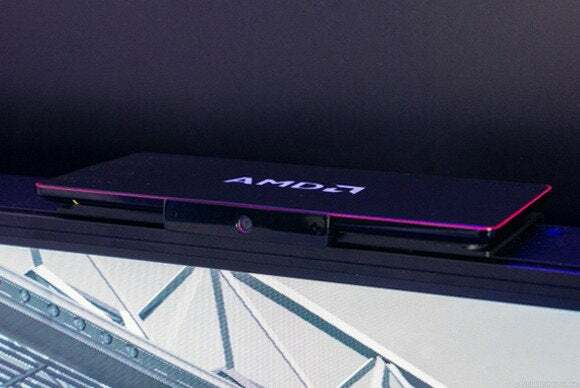 It comes packed with an AMD A85575M, a Radeon R9 M275X, two SODIMM slots, 802.11ac Wi-Fi support, Bluetooth 4.0, and bays for an SSD and a 2.5-inch drive. The most impressive thing is how Maingear managed to stuff everything into a package just 2.34 inches high by 4.5 inches wide by 4.23 inches deep and weighing a scant 0.89 pound. Your cluttered entertainment center will scarcely notice this tiny PC if it sidles into the mix later this quarter. We’re pretty familiar with the Oculus Rift at this point, but its low-res screen and lack of fine-tuned features left us wanting more. Enter Oculus Rift Crystal Cove, the advance we've been waiting for. The high-definition prototype sports a 1080p screen and reduces latency from 500 milliseconds to 100 milliseconds, which should make riding the rollercoaster or flying through space less vomit-inducing (and thus, more fun). The Crystal Cove version has built-in spatial positioning, so users can lean into virtual controls for deeper immersion. If PC cases could do yoga, the Origin Millennium would be the most sought-after instructor in Beverly Hills. 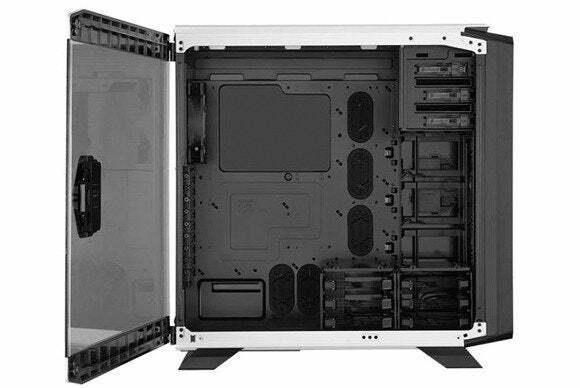 The case offers four different motherboard orientations, configurable side panels, a swappable front door, and the ability to transform from a midsize-tower to a full-tower Genesis to make room for even more components. This PC case actually evolves to meet your changing needs. Whether you’re flipping your motherboard 90 degrees to squeeze in a fourth graphics card, securing it with the optional Kensington locks, or adjusting the lighting, you’ll make yourself dizzy trying to keep up with the level of customization the Millennium offers. 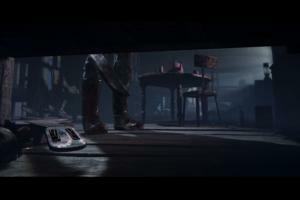 Razer's Project Christine is the most interesting PC gaming concept to appear in a long time. It may look like something straight off an alien spacecraft, but it’s actually the prototype for a new modular PC. If your graphics card starts to show its age, just pull it out and snap in a newer one. If your CPU feels a little sluggish, change it up in a few seconds. Every component installs and uninstalls neatly, cleanly, and without requiring you to take your PC apart. PC gaming is headed straight for the living room, and Valve is leading the charge. A cohort of 14 vendors have jumped on board and are itching to show off what they can connect to your TV or monitor. Designs range from full-size towers to small cubes that will fit into a nook or cranny of any entertainment center. 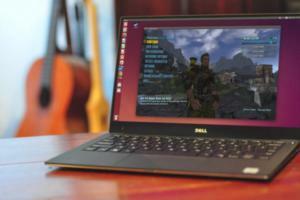 The PCs will run Valve’s Linux-based operating system, SteamOS, and some may offer the option to dual-boot Windows as well. Watch for more game choices on your living room TV with the open platform, and get ready for the line between consoles and PCs to blur even more.